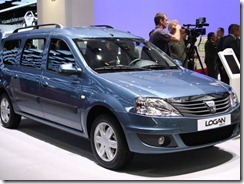 The next models which will be launched by Dacia in Europe will be a van, an MPV and a small model for the city. The information was published today by the French daily Le Figaro who analyzed the growth and origins of Dacia in an article titled "Dacia the gold bullion of Renault". "These new models will inaugurate a new stage in terms of design, and their prices will be lowered than ever" said Alain Launay, the director of the Renault design center opened in Bucharest two years ago. The three models will be launched from 2012 in the European Union. Regarding the situation between the image of the Dacia brand to the Renault brand, the technical center officials in Romania give us new details about development in the future. Thus, according to Gerard Detourbet statements, Dacia will remain a manufacturer that will provide basic models, while the models developed by Renault will be increasingly sophisticated. Another issue touched by the French journalists is the reliability of Dacia models that are situated in the first positions in the charts in Europe. "Most cars today have defects in the home electronic systems complexity. 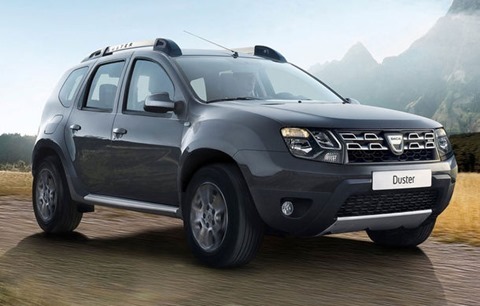 The Dacia models use electronic systems that were developed based on five to ten years ago, so they are obviously much more reliable than the last generation of cars" said Benoit Abadie, the deputy director of the Technology Center that opened this year Renault in Romania. "The costs of production for Dacia model assembled in Pitesti is below 2,000 euros the same model manufactured in France" – Le Figaro.